Wagamama has launched a new vegan menu! The guys at Wagamama invited me down to try it. Let’s take a look at their brand new vegan menu. 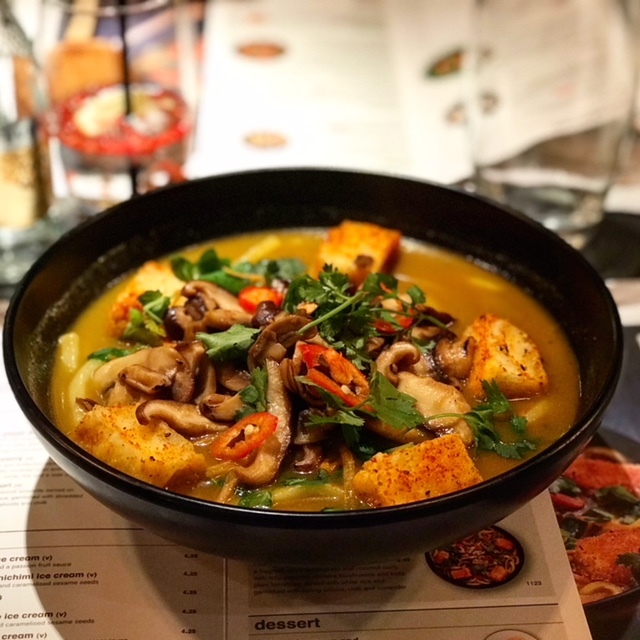 It’s been a long time coming, Wagamama has been taking baby steps towards providing more veggie and vegan options for the last couple of years but they’ve finally got it down and have launched a proper veggie and vegan menu. 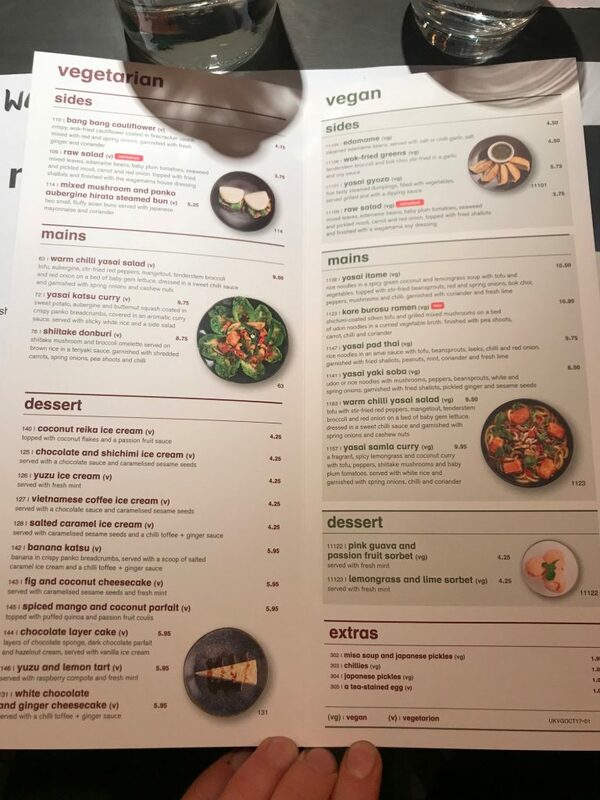 What’s great to see is that this is a proper, well thought out menu with a large selection, it’s not just the veggie options from the main menu put onto one sheet of paper with the desserts (which were always veggie anyway). Nice one Wagamama! 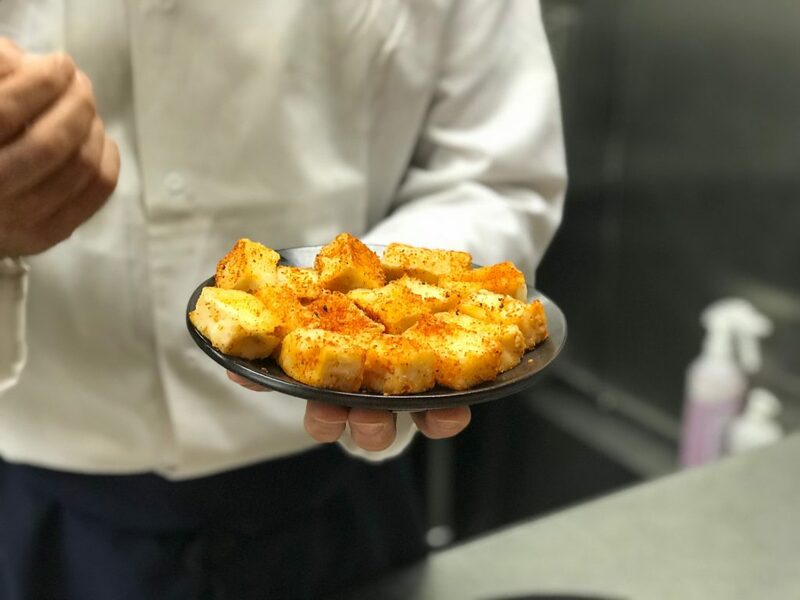 It’s easy enough to put veggie options on the menu, but that’s really only half the story when you’re running numerous kitchens across the country. I’ve heard loads of horror stories about veggie options being cooked on the same equipment as the meat options. It takes a real commitment from an organisation the size of Wagamama to put proper procedures in place. 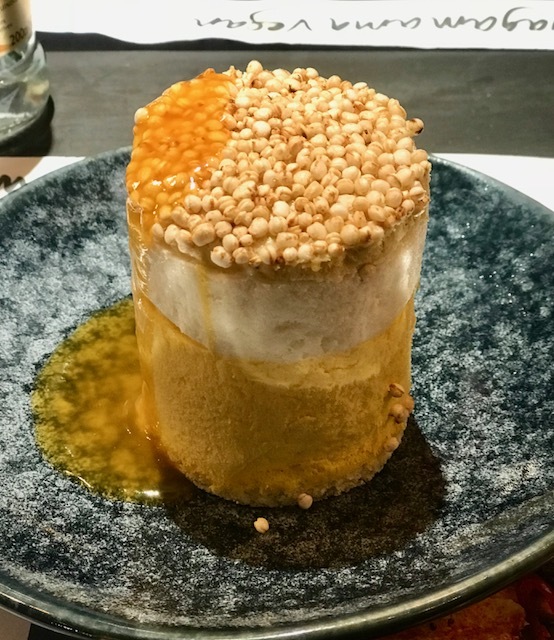 The Head Chef was telling us all about how everything is being kept separate, how they’ve created a brand new vegan broth for ramen and how they’ve designed a brand new noodle for vegans too! Plus, he assured us that vegan options are only going to be prepared by the most senior chefs at each site, to ensure everything’s done to the letter. Great to hear! I have to say I walked in to this launch event feeling cynical. Were Wagamama just trying to jump on the vegan bandwagon? It was so great to see that they’ve done things the right way. They’ve put proper processes in place to ensure veggies and vegans get epic food and can enjoy themselves without worrying about contamination. 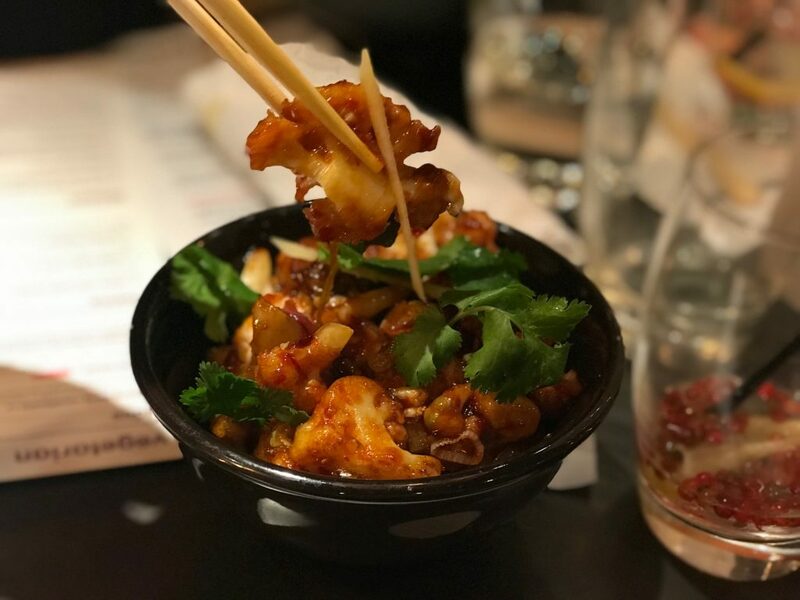 The options they’ve put together are seriously tasty and, unlike a lot of chains, you’ll be able to visit many times before you’ve tried all the veggie and vegan options on the menu. Epic work Wagas! Read more reviews from Veggie LAD here.